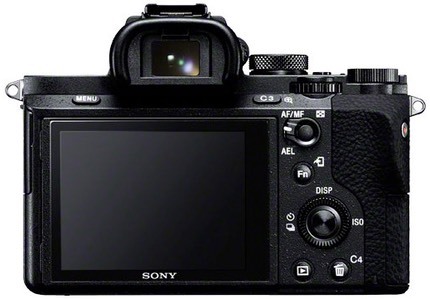 Sony today announced the Mark II version of the A7 camera. 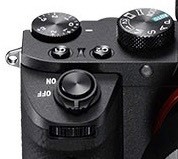 The sensor gets five-axis sensor-shift image stabilization, ala the Olympus E-M1. This new IS works in conjunction with OSS lenses, and apparently works together with the in-lens stabilization when it is present (i.e. in-lens or on-sensor stabilization isn’t deactivated; both are used). Video adds the XAVC S codec at 50Mbps. This not only gives better compression, but gets rid of the horrible BluRay folder mess. Sony also added S-Log2 as a choice to the in-camera picture settings. These log-type settings don’t look very good out of the camera, but they push all the dynamic range into data that can be later color graded far easier. Clean HDMI, including the ability to embed time code, has also been added. The grip got bigger. As part of this the front dial and shutter release have moved to slightly better positions, as well. This also opened up another position on the top of the camera for another customizable button. The front of the camera is now magnesium instead of plastic, and the lens mount has been reinforced. The curious aspect of the A7II is that it was announced only in Japan, and appears to be going to ship for that market on December 5th. No other markets have been announced for the product. 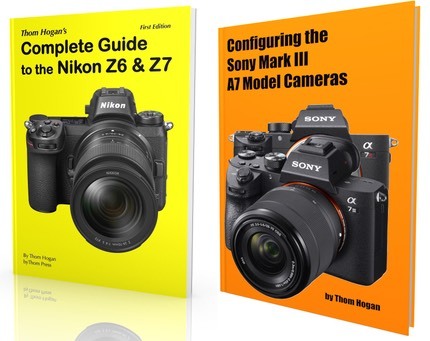 My guess is that there is still plenty of A7 inventory in the US and Europe and that the initial A7II production just started and is barely enough for the smaller Japanese market at the moment. Still, it’s strange, as the net effect will be that A7 models will likely have to be discounted more now to get them out of the pipeline. I’m not sure what the positive impact of announcing the A7II now in Japan would really be, as that country is not in a buying mood at the moment (economy is in recession). The ergonomic changes are highly welcome, and I hope they roll through the entire A7 lineup. Other than that, the primary changes in this camera will mostly excite videographers, which has me scratching my head. The A7s is the videographer’s A7. Sony’s lead on the A7II has been the 5-axis image stabilization, apparently the long-expected cross license from Olympus. “5-axis” seems wrong, as I noted when the E-M1 came out. What the system really does is correct five types of destabilizations using three axes ;~): left/right shift, up/down shift, roll, pitch, and yaw. While on-sensor IS is a nice feature to have, I find it turn it off quite often on my E-M1. Why? Because it’s a little sub-optimal at certain shutter speeds. I’ll also be very curious to see how the 5-axis system works with the OSS lenses, too. One of the side effects of IS that I dislike the most is how it sometimes distorts out of focus areas in unusual ways. Still, it’s nice to have every lens optimized. Even legacy manual focus lenses mounted via adapter. The Japanese price for the camera implies that the A7II body will probably sell for the same price as the A7 in the US and Europe. In other words, about US$1700 (Update: confirmed; availability for order to start in early December). Technically, the current exchange rate would put it at US$1600, but I’d be surprised if Sony dropped the price for the Mark II immediately on introduction.